Takesha Meshé Kizart is “blasting star quality all over the stage with her stunning voice and sensational good looks” (Opera News). Star of the feature film The Verdian Voice, and laureate of numerous international competitions, she is rapidly being hailed as the next great Verdian Voice of her generation. The New York Times describes her singing as “powerful, lustrous, silky, caramel-hued, wielding impressive ease and elegant control” and critics worldwide are praising her visually- and vocally-compelling performances. Kizart’s versatile body of work already includes leading operatic heroines of the bel canto, verismo, and contemporary eras. Her musical roots run deep. A performer since the age of two, the Chicago native counts music legends McKinley “Muddy Waters” Morganfield and Tina Turner among her relations. Judging by her current ascent, this young and dazzlingly talented vocal artist is destined for greatness on the lyric stage and beyond. Additionally, Takesha Meshé Kizart has appeared with The Philadelphia Orchestra, MIDEM & Radio France, SWR Television, Baden Badener Philharmonie, The Metropolitan Opera Live HD Broadcast Intermission Feature, and many others. Her exceptionally vivid portrayals include the title role of Tosca (Deutsche Oper Berlin, Oper Frankfurt, Oper Köln, Opera Australia, Opera North-UK, & The Dallas Opera); the title role of Respighi's Marie Victoire (Deutsche Oper Berlin); Clitennestra in Gnecchi’s Cassandra led by Maestro Donald Runnicles (Deutsche Oper Berlin); the title role of Madama Butterfly (Deutsche Oper Berlin & Slovenian National Opera); Mimì in La bohème (Opera Australia & Deutsche Oper Berlin); a rare feat of performing both Margherita & Elena in Mefistofele (Opéra National de Montpellier); Judith in Bluebeard's Castle (Oper Köln); Donna Leonora in Il Trovatore (Staatsoper Stuttgart); Donna Leonora in La forza del destino (Caramoor International Music Festival & The Academy of Vocal Arts); Lucrezia Contarini in I due Foscari (Opera Orchestra of New York); Costanza in L'isola disabitata (Gotham Chamber Opera); The Duchess in Powder Her Face (Musikfest Bremen); Beethoven's Symphony No. 9 (The Latvian National Symphony Orchestra); Mendelssohn's Lobgesang (The Fort Worth Symphony) and Elijah (AVA); Wagner's Liebestod (Symphony in C); Amelia in Un ballo in maschera, the title role of Vanessa, Anna in Le Villi, Donna Anna in Don Giovanni, and Rossini's Stabat Mater (AVA); Desdemona in Otello; Violetta La Traviata; Giorgetta in Il tabarro; the title roles of Suor Angelica, Manon Lescaut, and Donizetti's Maria di Rohan; Fiordiligi in Così fan tutte; Contessa Almaviva in Le nozze di Figaro; Hanna in The Merry Widow; Lià L'Enfant prodigue; Händel's Messiah; Dubois' Seven Last Words; and Saint-Saëns' Christmas Oratorio. Further appearances include L'Orchestra della Fondazione Arturo Toscanini, WDR Broadcast Orchestra of Cologne, Kölner Philharmonie, Fort Worth Opera, The Kimmel Center for the Performing Arts, Alte Oper Frankfurt, La Orquestra Filharmonica de Pilsen, Palm Beach Opera Orchestra, Duisberg Philharmonic Orchestra, Ocean City Pops Orchestra, Aspen Music Festival, WRTI Radio, NPR Performance Today, PBS, & NBC's Today Show. Kizart made her professional debut in 2006 as The Dutchess in Thomas Adès’ Power Her Face with Musikfest Bremen and the Deutsche Kammerphilharmonie. 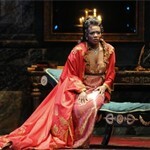 Her American professional debut occurred in 2008 in the title role of Tosca with The Dallas Opera. Among her American highlights is a highly acclaimed Leonora in La forza del destino at the Caramoor International Music Festival in 2008. Other U.S. performances include Costanza in Haydn’s L’isola disabitata with Gotham Chamber Opera, Lucrezia Contarini in I due Foscari with Opera Orchestra of New York, and concerts with the Philadelphia Orchestra and Fort Worth Symphony. Takesha Meshé Kizart sang her first Messiah in her early teens at the First Baptist Congregational Church in Chicago. A graduate of the Whitney M. Young Magnet High School, alma mater of First Lady Michelle Obama, she excelled not only in music and theater, but also dance, modeling and as a member of the Young Lawyers Section of The American Bar Association. She is also an alumna of the University of North Texas and the prestigious Academy of Vocal Arts in Philadelphia. A deeply spiritual person, her name itself is a force of destiny. Takesha means highly favored, Meshé: messiah/savior, and Kizart: miraculous. Two years in a row, Takesha Meshé Kizart has received nominations for Germany’s Opernwelt Award for “Female Singer of the Year: for Marie Victoire (2009) and Judith in Bluebeard’s Castle (2010), as well as Live Performance Australia’s Helpmann Award 2010 for “Best Female Performer in an Opera” (Tosca). 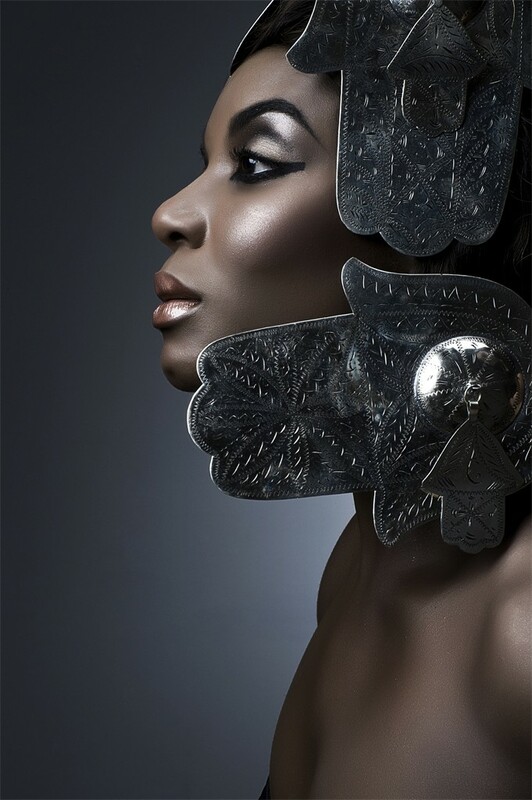 She has received top awards from The Marian Anderson Historical Society, Metropolitan Opera National Council Auditions, Classical Singer Magazine’s Young Artist Competition, Opera Index, The Caruso International Voice Competition, Guilds of The Dallas Opera, Connecticut Opera, Palm Beach Opera, and Florida Grand Opera, The Oratorio Society of New York, Competizione dell'Opera, Neue Stimmen; and the Foundations of William Matheus Sullivan, Gerda Lissner, Liederkranz, Mario Lanza, Giulio Gari, Sergio Franchi, and Albanese-Puccini. Kizart was honored with Grand Prize at the Concurso Internacional de Canto Montserrat Caballé by the luminous Caballé herself. In the film The Verdian Voice, she was lauded by jury, media and the public as Grand Prize Winner of the prestigious Concorso Internazionale Voci Verdiane “Città di Busseto” as the next great Verdian Voice of her generation.